"Everybody pays. Everybody suffers." 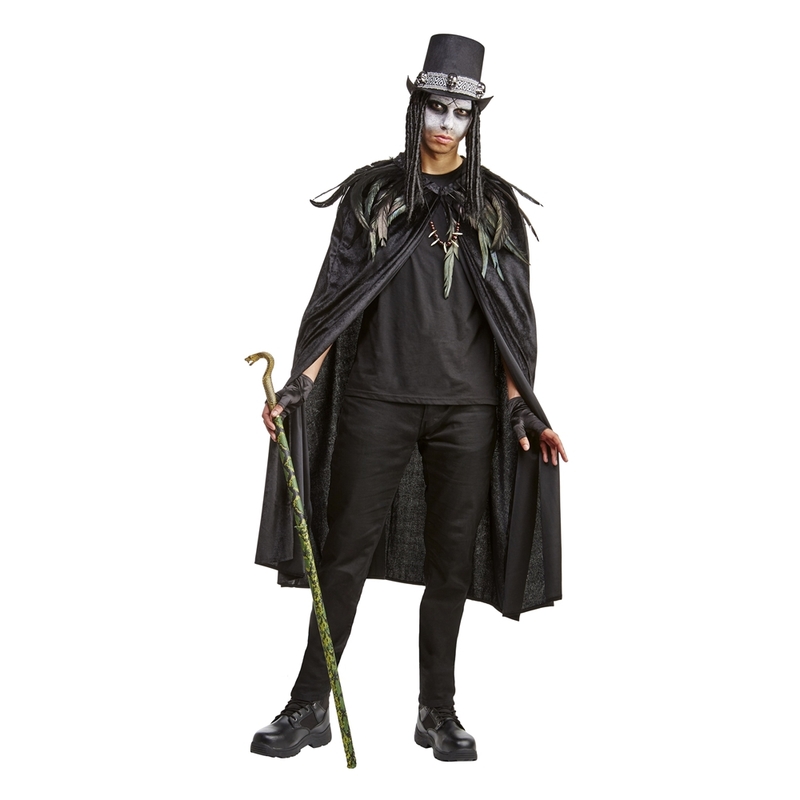 This American Horror Story Papa Legba costume includes a cape, gloves, hat with attached dreadlocks, cane, and necklace. The fedora hat has a black and white decorative ribbon with tribal patterning and little silver skulls, fitting for a voodoo ceremony. Do not machine wash or dry. Do not dry clean. Do not bleach. Do not iron.